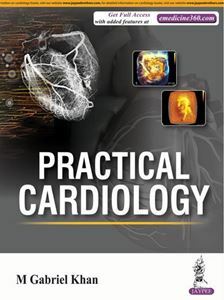 The practical substance of this text is aimed at all doctors who assess, and prescribe for patients with cardiovascular problems. The book tells you which drugs are best choice and which are not advisable; for example, atenolol a most used beta blocker is not recommended; angiotensin receptor blockers are poorly effective, but are overly prescribed. One million diabetics die annually in India and 1.5 million in China. The author has recently shown that diabetics have high blood sitosterol and advises on therapy for diabetic sitosterolemia. The chapters on ECG Interpretation Made Easy, Arrhythmias Diagnosis and Treatment are packed with practical steps. The chapter on Chest X-ray Interpretation is a surprise; the heart and lung move in concert. Bulleted statements allow rapid retrieval. Chapters 1, 2, 3, 5, 6, 7, 8, 9, 10, 11, 12, 13, 14, 15, 16, 17, 18, 19, 20, 21 and 22 contain video(s).